These Jews, from Carpathian Ruthenia, which Hungary seized in the dismemberment of Czechoslovakia in 1939, were deported from May 15th 1944 onwards. Despite being fully aware of the extermination of the Hungarian Jews, the last major Jewish community in Europe, the Zionist leadership in Palestine, chose not to publicise what was happening or the Auschwitz Protocols which gave specific details of Auschwitz and the extermination of European Jewry. 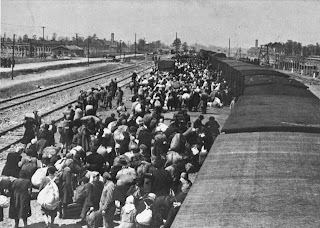 The deportations were halted on July 7th because of pressure from the neutral European states, Switzerland and Sweden and the threat of retribution, following the heavy bombing of Budapest on July 2nd, from Roosevelt. 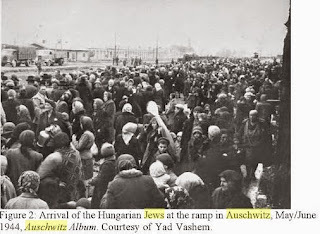 Although criticisms have often been made about the role of the Catholic Church, sometimes justified, and its refusal to speak out, its role in preventing the deportations of the final quarter of a million of Hungary’s Jews was infinitely superior to that of the Zionist leaders and the Jewish Agency who did absolutely nothing. Pope Pius XII repeatedly sent telegrams and placed pressure, both directly and via the Papal Nuncio in Hungary, Angelo Rotta, on Hungarian ruler Admiral Horthy to put an end to the deportations. When the Swiss press publicised the Hungarian holocaust and the BBC followed up, the mood changed in the Nazi imposed Hungary government against the deportations, which were never to resume. A new exhibition will features copies of all of the almost 200 photographs from the Auschwitz Album, a unique document from 1944. Although most of the people in the photographs are citizens of pre-war Czechoslovakia from Carpathian Ruthenia, this album has not previously been shown in the Czech Republic. When: May 19–Sept 20; Tue–Sun 10 a.m.–6 p.m., Thu 10 a.m.–8 p.m. The exhibition also describes how the album was created, how it was found by the Auschwitz survivor Lili Jacob and what happened to it after the war. A major role in its post-war fate was played by the Czech capital city and the Jewish Museum in Prague, where in 1947 copies were made of the photographs in the album. The original album was donated to Yad Vashem in 1980, according to exhibit curator Martin Jelínek. The exhibition also presents previously unpublished findings about the album and about Lily Jacob. Above all, it draws attention to the fact that although the album is usually talked about in connection with the transports of Hungarian Jews, the photographs actually depict citizens of pre-war Czechoslovakia. Lili Jacob, who found the album in the Mittelbau-Dora concentration camp after the liberation, was a Czechoslovak citizen, spoke Czech fluently and lived in what was then Czechoslovakia for three years after the war. The money that she received in 1947 from the then State Jewish Museum – for allowing it to make copies of images from the album – enabled her to move with her husband and first-born daughter to the United States in 1948, where they began a new life. 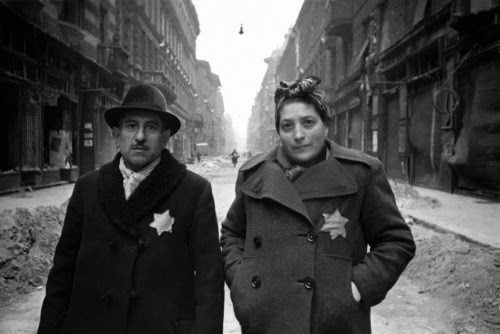 The Auschwitz Album also played an important role as supporting evidence in war crime trials in Germany and Israel. The exhibition is being held to mark the 70th anniversary of the end of World War II. The Auschwitz Album the Auschwitz-Birkenau death camp in the spring of 1944. Apart from an album that shows the camp being built in 1942–43 and three photographs that were taken secretly by inmates, there is no other authentic pictorial document that captures life in Auschwitz. Historians consider the Auschwitz Album to be one of the most important testimonies on the fate of the millions who were murdered. Without the Auschwitz Album we would have to rely solely on the reminiscences and accounts of survivors, Jelínek stated. 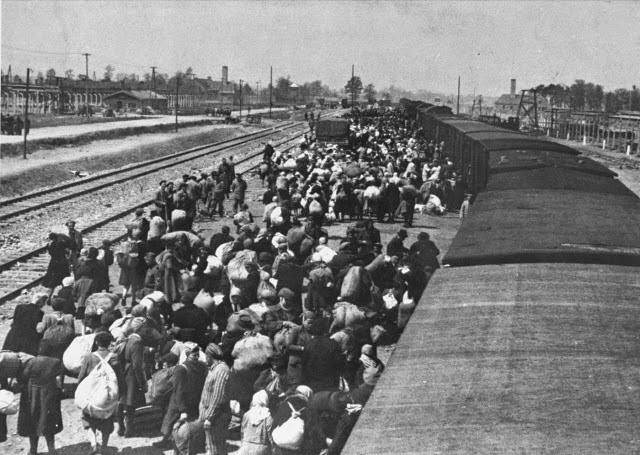 The Auschwitz Album documents the arrival, selection and processing of the so-called “Hungarian Transports” that came to Auschwitz-Birkenau at the end of May or the start of June 1944. According to some sources, the photographs were taken on a single day; according to others, over a period of several weeks. Many of the trains came from Berehove, Mukachevo and Uzhhorod in Carpathian Ruthenia, a former part of Czechoslovakia that was ceded to Hungary in November 1938, just as the Sudetenland had been ceded to Germany under the Munich Agreement. The rest of Carpathian Ruthenia was annexed by Hungary on 18 March 1939, three days after the occupation of Bohemia and Moravia by the German army. 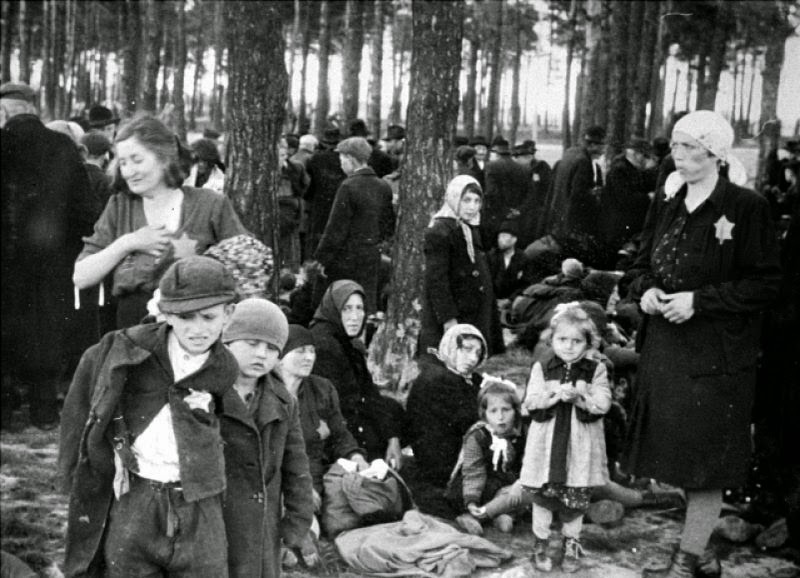 As is evident from the recorded testimonies of survivors, many of the deportees in the photographs spoke Yiddish at home. Nonetheless, they considered themselves to be Czechoslovak. 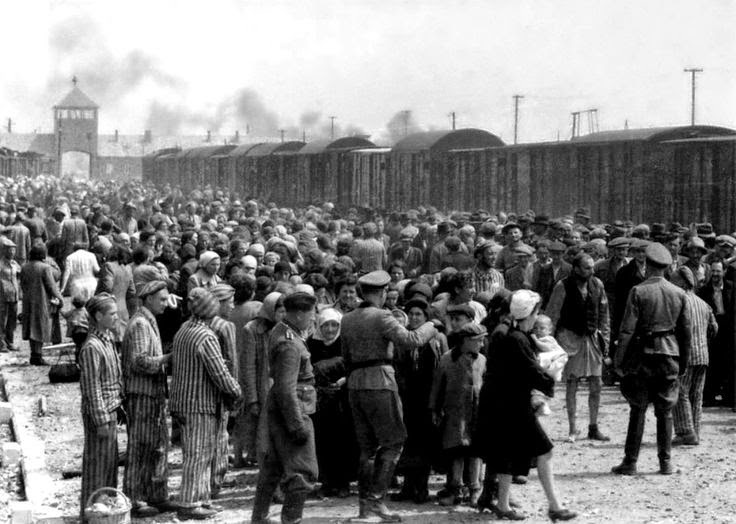 Unlike the previous deportation trains, the Hungarian transports arriving at Auschwitz went directly into the Birkenau camp – on a newly built track that was completed in May 1944. 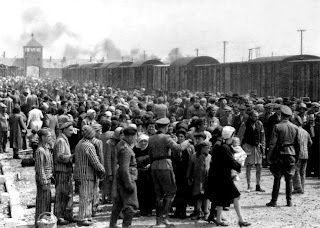 The railway track was extended in order to speed up the selection process, so that the prisoners could be quickly divided into those capable of work and those to be exterminated immediately, and to make the sorting of their belongings more effective. 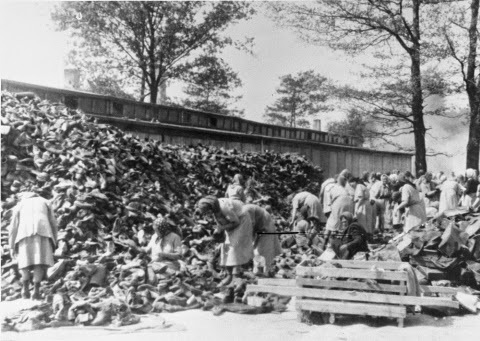 Most of those deemed fit to work were soon taken to forced labor camps in the German Reich, so that they could be used by the German military industry, which was at risk of air raids. 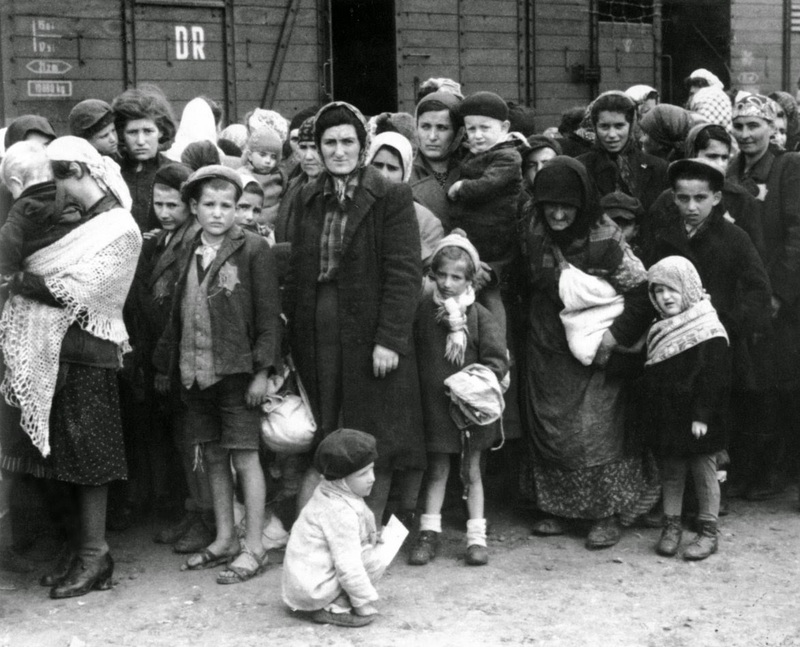 The others – mostly the elderly and women with children – were immediately sent to the gas chambers upon arrival. More than a million European Jews perished at Auschwitz-Birkenau, including at least 75,000 from Carpathian Ruthenia. 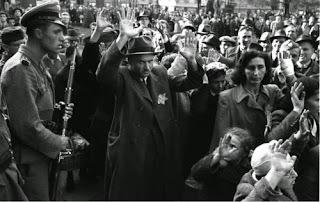 More than a quarter of a million Jews from the former Czechoslovakia were murdered by the Nazis.